Chris Connors died, at age 67, after trying to box his bikini-clad hospice nurse just moments earlier. Ladies man, game slayer, and outlaw Connors told his last inappropriate joke on Friday, December 9, 2016, that which cannot be printed here. Anyone else fighting ALS and stage 4 pancreatic cancer would have gone quietly into the night, but Connors was stark naked drinking Veuve in a house full of friends and family as Al Green played from the speakers. The way he died is just like he lived: he wrote his own rules, he fought authority and he paved his own way. And if you said he couldn’t do it, he would make sure he could. Most people thought he was crazy for swimming in the ocean in January; for being a skinny Irish Golden Gloves boxer from Quincy, Massachusetts; for dressing up as a priest and then proceeding to get into a fight at a Jewish deli. Many gawked at his start of a career on Wall Street without a financial background – but instead with an intelligent, impish smile, love for the spoken word, irreverent sense of humor, and stunning blue eyes that could make anyone fall in love with him. At the age of 26 he planned to circumnavigate the world – instead, he ended up spending 40 hours on a life raft off the coast of Panama. In 1974, he founded the Quincy Rugby Club. In his thirties, he sustained a knife wound after saving a woman from being mugged in New York City. He didn’t slow down: at age 64, he climbed to the base camp of Mount Everest. Throughout his life, he was an accomplished hunter and birth control device tester (with some failures, notably Caitlin Connors, 33; Chris Connors, 11; and Liam Connors, 8). In lieu of flowers, please pay open bar tab or donate to Connors’ water safety fund at www.thechrisconnorsfund.com. 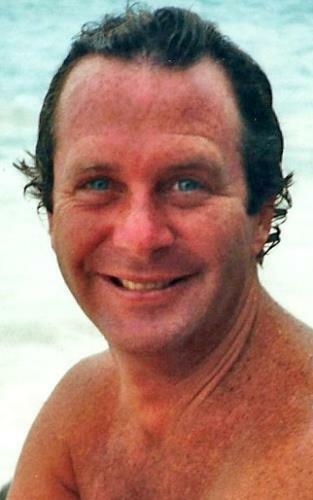 This is the actual obituary of Chris Connors, which was originally published in the Portsmouth, N.H., Herald, the York Weekly and Seacoastonline.com, and also on Legacy.com, by friends and family who honored his wishes to be remembered in a manner written “to make it funny.” Connors spent 15 years summering at the Jersey Shore.